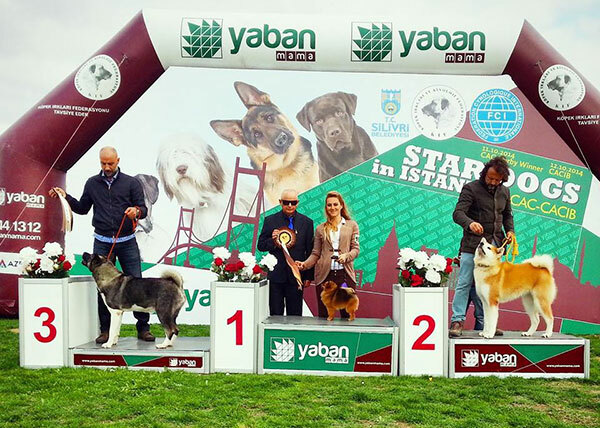 11 October 2014 Istambul, Turkye: Impala American Beauty won again!! CAC, BOB and Best in Group 1!! 28 September 2014, Aland, Finland: Impala Incoming Storm EXC1, CK, Impala Innuku EXC3. Judge: Carl-Gunnar Stafberg, Sweden. 24 August 2014, SSKP show, Sweden: Impala Innuku EXC 1, CK 2, BF, CERT!!. Judge: Jan Herngren, Sweden. 23 August 2014, Stockholm, Sweden: Impala Innuku EXC 1, CK4, BF, r CERT. Judge: Rodi Hübenthal, Norway. 20 July 2014, Köping,Sweden: Impala Incoming Storm EXC 3, CK. Judge: Korosz Andras, Hungary. 19 July 2014, Askersund, Sweden: Impala Innuku EXC 3, CK. Judge: Jeanette Lemmeke, Sweden. 29 June 2014, Boras, Sweden: Impala Incoming Storm EXC2, CK. Judge: Benny Blid, Norway. 20-22 June 2014, Silivri International shows: Impala American Beauty got 2x BOB, 3 x CAC, 1x CACIB, 1 X BOG2!! 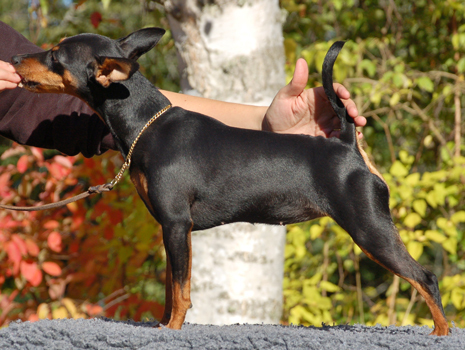 3-4 January 2014, MyDog show/Goteborg, Sweden: Impala Incoming Storm jun Exc 4! Judge: Göran Bodegård, Sweden.